Love roller derby? Looking for a way to enjoy our games for free, while having a great time? We’re looking for the next great Mean Jean! 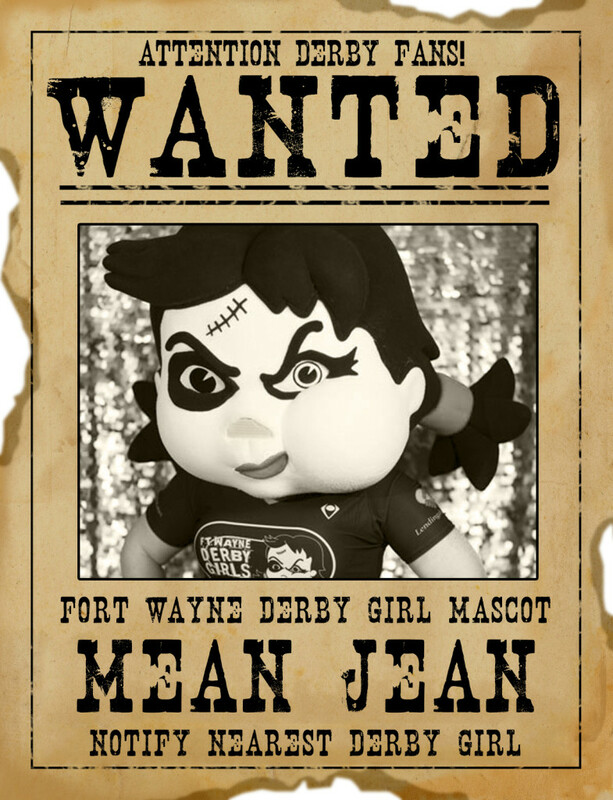 Our mascot, Mean Jean, has been a part of our league since the very beginning, and we need someone to carry on that tradition. So what does it mean to be our mascot? Obviously, there is the outfit and the head. Other than that, all you have to do it cheer on the team, pose for photos with the fans, and be your outgoing (non-speaking) self! This is an ideal volunteer position for someone who loves roller derby, and doesn’t mind being on their feet for a few hours once or twice a month. If you’re interested, we’d love to chat with you! Contact us today. We are Indiana’s first all-female, flat track roller derby league. The Fort Wayne Derby Girls are a proud member of the WFTDA. © 2019 Fort Wayne Derby Girls. All rights reserved.